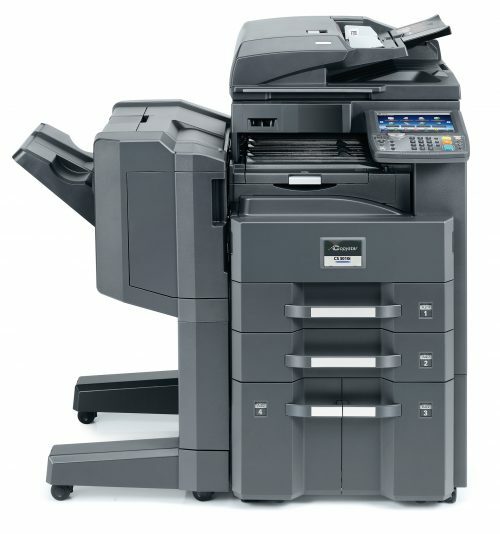 Share information your way with high-speed copy, print, scan and fax capabilities. 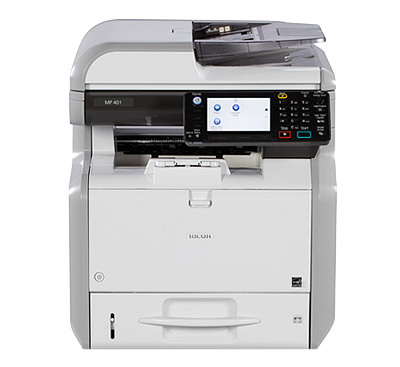 The compact and affordable Lanier MP 401SPF Black and White Multifunction Printer lets you easily create, access, protect and distribute your documents with the touch of a button. Make it easy for your workers to speed through copying, printing, scanning and faxing tasks and place information into the hands of those who need it. 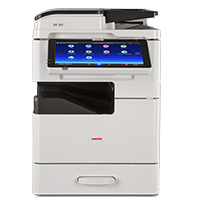 The compact MP 401SPF Black and White multifunction printer (MFP) fits nearly anywhere, even on a desktop, to support busy individuals, small offices or workgroups. Save time with built-in productivity features. The embedded optical character reader (OCR) option inserts invisible text or metadata on scanned images, so you can search for and retrieve documents in moments. The ID Card Copy feature allows you to scan two-sided documents like patient insurance cards onto a single sheet of paper. The MP 401SPF meets EPEAT® Silver criteria (EPEAT is a global environmental rating system for electronic products) and ENERGY STAR® specifications. The fusing unit only powers up for printing tasks, and default duplex printing saves paper. The ability to share information quickly is a competitive advantage, so do it safely. Ask users to authenticate themselves, so you can monitor who’s doing what on the device. Help protect images and data on the hard drive with embedded encryption. The DataOverwriteSecurity System (DOSS) destroys latent hard drive information by overwriting it. The optional Integrated Cloud Environment (ICE) service from Ricoh lets your workers access cloud-based services without expensive on-site servers, system integration or software updates. Complete frequent tasks, like scanning documents directly to an email inbox, in seconds by creating your own shortcuts on the touch panel. When your information is mobile, carry it on a USB stick or SD card that you can insert into the MFP and print — no PC or network connection required.